I’ll have a booth at the 2009 New Art Festival (formerly Art in the Park). I’ve been hard at work in the studio preparing for this show and will have a wide assortment of my usual work (Pandora-style beads, goddesses, pendants, etc.) available as well as some new designs i’m currently fine tuning. 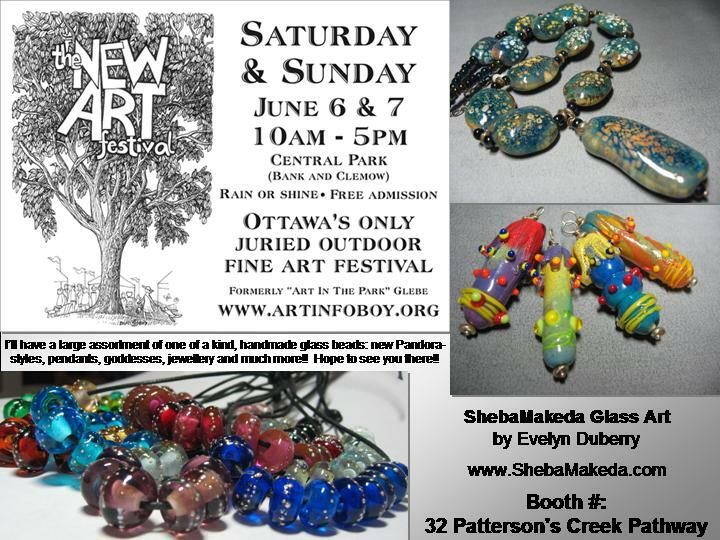 For more about the festival, click here: http://artinfoboy.org/ . For directions to Central Park click here: http://artinfoboy.org/findus.html . Wish I could swing by, but it’s rather a drive. Hope it’s turning out to be a great weekend for you.